07:30 am. 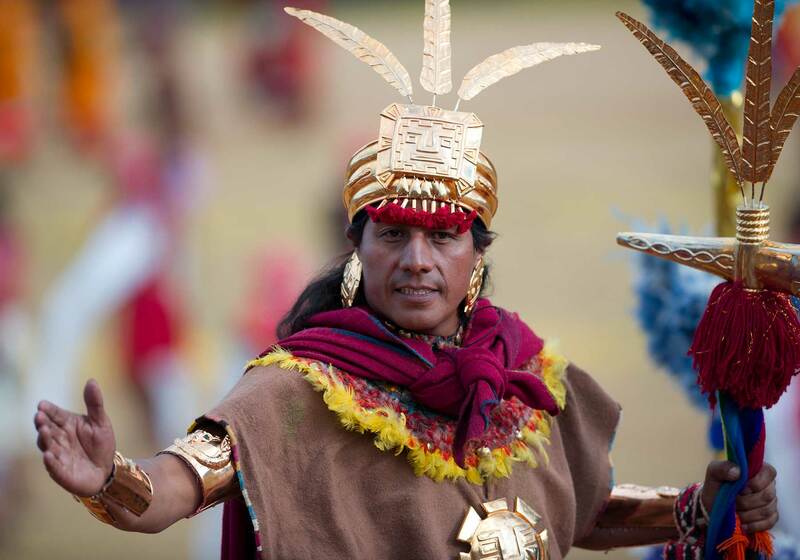 Pick up from your hotel to get pedestrian to the temple of Qorikancha. 09:00 am. 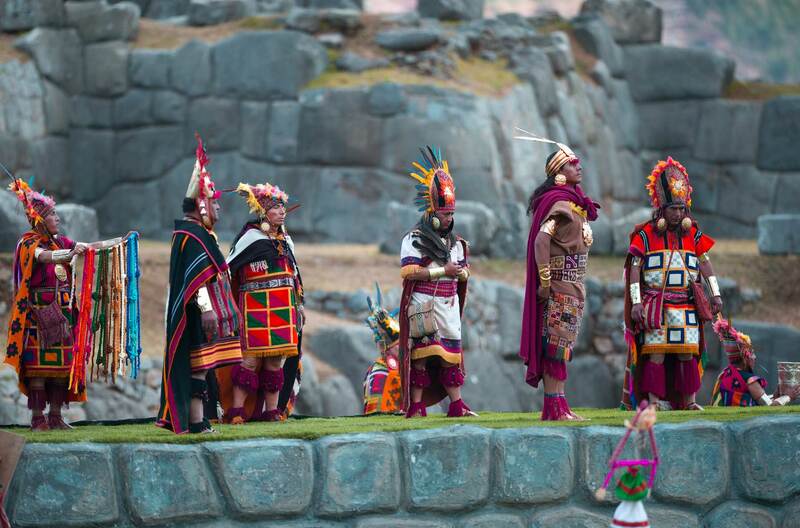 Qorikancha: Beginning of the staging, in the Inca times it was the main temple consecrated to the Sun. 11:00 am. 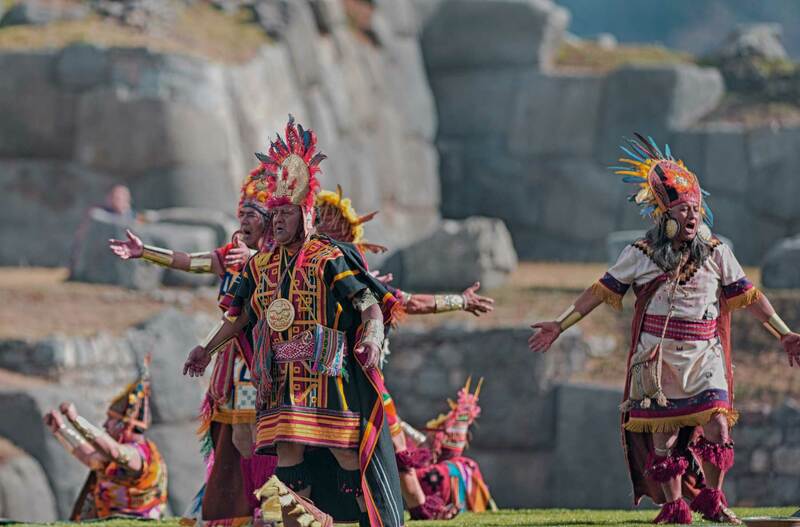 Aucaypata (Plaza Mayor) Duration 45 minutes: The Inka and its Royal Court, enter the street Inti K’ijllu to the Plaza de Armas in Cusco. 13:30 pm. 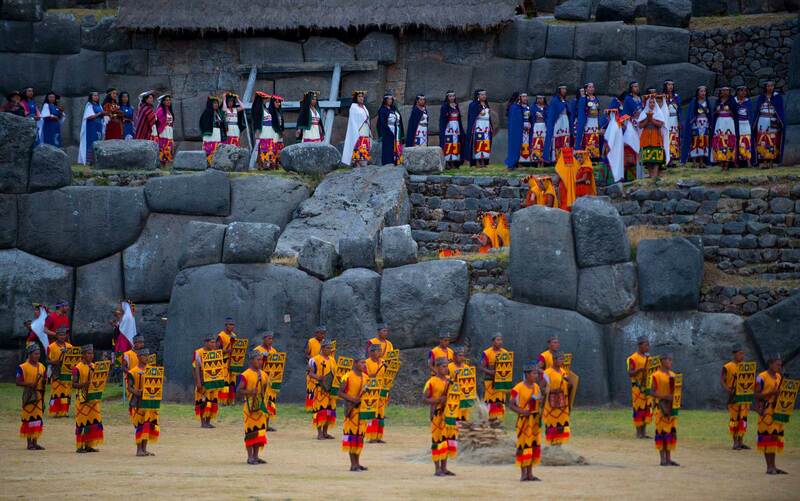 Main staging in the esplanade of Saqsayhuaman: With a duration of 90 minutes, where the rites of the New Fire, of the Coca, the offerings of the Four Suyos and the prediction of the future times are celebrated. 16:30 pm Approx. Return to the accommodation. Tourist transport Cusco - Sacsayhuaman - Cusco. First Aid and security (police and private). Air and / or land tickets. Alcoholic beverages, soft drinks or bottled mineral water. National or international telephone calls.